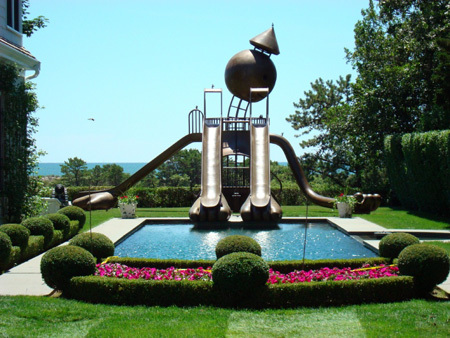 From a de-installation in a museum or gallery space to the creation of a concrete pad and mounting of an outdoor work in a manicured and landscaped yard, you can rely on Mariano Brothers! 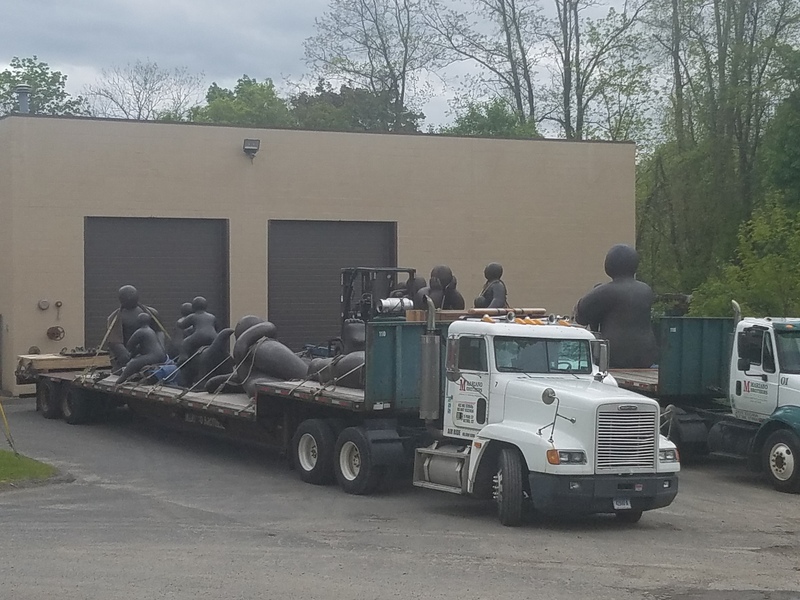 We offer sculpture moving and machinery moving throughout Norwalk, Greenwich, Danbury, New Haven, CT and nearby areas. Contact us today to learn what our crating company can do for you! Place your mouse over the images for a description of each one! We have the knowledge and attitude to treat your artwork with the respect and attention that it deserves. Our crating company has a variety of protective packing materials depending on the finish or patina of the work. Our care and attention to detail includes protecting your floors and property - leaving the artwork placed exactly as you desire. From Large to Small, We Take on Projects of Any Size! Mariano Brothers has the specialized rigging equipment and experience needed to handle projects of any size or medium. Our fleet of air ride trailers, cranes and straight trucks transports your piece to and from its destination safely. If you think that you might be in need of our services, contact our rigging company today for a consultation! Our employees have been handling artwork for at least 8 years. They are apprenticed by our senior employees on the processes of safe wrapping and packing and the rigging of artwork of all shapes and sizes. All of our foremen have over 20 years experience in the field. When you work with Mariano Brothers, you know you're working with the best rigging company in Stamford, CT and beyond. Our specialty is the rigging and moving of dimensional pieces. We have over 30 years of experience in this field. Hours of calculation and planning go into every large-scale sculpture move, from safety to travel restrictions. While not every challenge presents itself until the move is underway, we have gained a reputation in our field as "problem solvers". This has made us one of the most trusted over-dimensional sculpture rigging companies and machinery movers in the country. 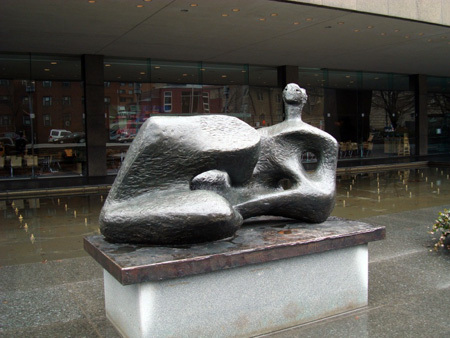 Click here to contact us about your sculpture moving project.